Have the world at your feet with Carolina Herrera Good Girl, a powerful and daring fragrance with a blend of light and dark facets. 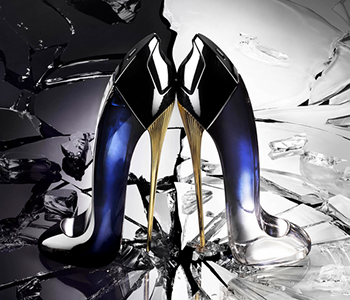 Carolina Herrera Good Girl celebrates the dominance of a heel with a uniquely designed perfume in the shape of a stiletto. Inspired by powerful women everywhere, Good Girl showcases what the strength of femininity looks like, one heel at a time. The perfect fusion of fashion and fragrance, the Good Girl Eau de Parfum Spray is set to become every woman’s favourite accessory.